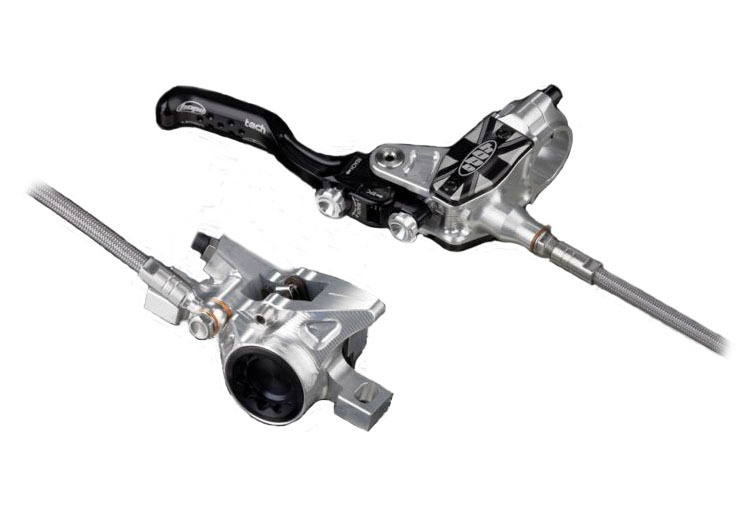 The brakes Hope Tech V2 Evo 2012 with air hose has a new master cylinder with 15% more power. The TECH V2 is the evolution of the motorcycle V2 This brake is designed for use in Freeride, Downhill and tandems in the most extreme conditions. With unmatched power, combined with the new adjustable lever, the V2 is definitely THE reference disc brakes in its class.